Somehow, I was blessed to secure a global marketing communications role right out of college (okay, I worked at Panera for a few months beforehand, but, hey, it worked out). After being immersed in the literal world of communications for a few years, here are three things I learned as an international communicator. Whether it’s a call with China at 9pm (your time) or a 4am webinar with the Netherlands, some days and weeks will bring the strangest hours you’ve ever worked. There are plenty of pros to this weirdness, namely the excitement and flexibility that come with a non-traditional schedule. Working the nine to five grind can get repetitive; it’s nice to shake things up a little. Plus there’s a satisfying sense of intrigue when you can say you started the day by meeting with Europe. But be warned: while you may feel like 007 when you’re first starting out, you may also learn just how unrealistic Mr. Bond’s lifestyle is. The obvious downers to odd hours include irregular sleep schedules, meetings at odd times, and a general lack of routine. The less obvious involve the quality and quantity of your work – tiredness and an unstable schedule can easily affect your productivity. In addition to how you handle a non-traditional work schedule, be wary of your employers’ approach. Make sure any odd hours you log taking calls or traveling are accounted for as what they are – work time. If you’re putting in 40 hours at the office AND taking early morning calls or flying 20 hours in the same week, you might want to reevaluate your company’s culture around work-life balance. Having an international work schedule is fun and fine as long as it doesn’t quietly take over your personal time. Personal time is important, and so is personal information. That’s why the GDPR exists and came to be fully enforced last year. In case you aren’t familiar, the basic premise of GDPR requires a new level of transparency and consent for marketers using consumer data. For example, if a customer registers for a newsletter by submitting their email, GDPR mandates the email address can only be used to send the newsletter. Unless the consumer explicitly opts into other communications, their information can’t be used for other tactics. Many companies in the US have already adopted this trend of opting-in, but this has been an optional courtesy rather than a legal requirement. You’re probably wondering: how could a policy that cuts communications be good for marketers? In my opinion, these regulations lead to a better understanding of our audiences. By requiring consent, the ball is placed in the audience’s court. A GDPR set-up could make consumers more transparent because an audience’s decision to opt in or out of certain communications could say more than vague email open rates or website impressions. Plus, marketers operating under these types of policies might be forced to think more outside the box to reach their targets, and innovation is never a bad thing. Even if you don’t agree about these possible positives, I learned there’s a real potential for more consumer-focused restrictions like GDPR to come into play, worldwide. It’s an important topic for new pros to be aware of as we enter the workforce and adapt our educations to the real world. In my experience, American marketers move fast and feel they must be on the “cutting edge” 24/7. The success and adaptability our country’s communicators may lead you to believe Americans are fairly middle-of-the-road on a global scale, meaning we can work with foreign teams without much difficulty. This is only partially true at best. Just because some countries seem similar, doesn’t mean they are. Our colleagues in Italy and Spain stressed extremely different pain points after we introduced a global campaign to each office. Only after meeting with them one-on-one and taking the time to listen did we understand we couldn’t put Europe into a single bucket when developing a strategy. “Cutting edge” is a fluid, global adjective. When our Thai colleagues shared a “cutting edge” social media strategy involving anime cartoon characters and egg-related recipes, my boss and I ended the call worried about the effect these tactics would have on our global campaign. After another call to question them, the Thai office graciously shared some amazing social engagement stats. We were floored and immediately learned to put more trust into foreign, “cutting edge” ideas. I highly recommend The Culture Map by Erin Meyer to anyone interested in a global role – this book contains great data and personal insights as the author paints an experienced picture of how the world communicates. If you’d like to share any lessons not included in this post, please comment or reach out to me. I always love discussing this topic. A college education in public relations is a fantastic resource, but it can’t cover everything. Here are a few tips as you begin your journey into public relations. If you’re like me, you’ve probably spent time and effort perfecting your content creation and journalism skills. While these can make you a great asset to a team, keep in mind that the house of media relations is built upon a foundation of pitching. 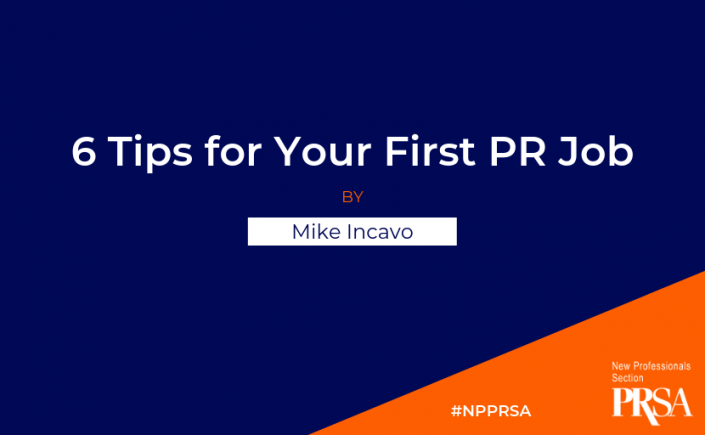 Identifying, writing, targeting and sending pitches are often core functions of entry-level PR jobs. Put time into developing your pitching skills— they’re often the clearest way to contribute value to your team. There are great books on the topic — I’m enjoying Ed Zitron’s “This is How You Pitch” right now. In order to identify pitching angles, you need to understand your clients. I like to read anything I can get my hands on about the companies I work with, as this can allow me to see pitching ideas that haven’t occurred to anyone else. One of the most important nuances to learn about your clients is their competition. This gives you a frame of reference for the type of coverage you can seek and can alert you to journalists who might be interested in news from your clients. Since your clients spend every day embedded deep in their verticals, they depend on you to help convey their ideas to people who may not live in their world. This means it’s crucial to find news within your clients’ larger stories. Journalists are incredibly busy and receive hundreds of emails each day. You’ll want to find a good story angle that is relevant to the writer you’re pitching and articulate your ideas clearly and succinctly. Don’t underestimate Google News just because it’s available to everybody. Advanced monitoring and tracking tools can be great for media relations, but Google News is a great way to get a glimpse of trending topics and coverage based on simple search terms. It’s a great starting point for learning and establishing context. When you’re working with clients, it’s important to keep tabs on their mentions and what’s happening in their industry. Google Alerts sends you emails when new items that match your specified keywords are added to Google’s massive index. Setting alerts for your clients’ names or keywords related to that client can help you stay informed. It’s also a good idea to set one up for your name. Mike Incavo is an account manager and content creator at Houston cybersecurity firm Zintel PR. 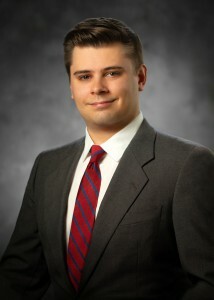 He attended Baylor University and is a member of the Houston PRSA chapter. Find him on LinkedIn and Twitter. My first job in the industry was at a small, B2B advertising agency in Morgantown, WV. I was exposed to all facets of marketing: content development, direct email, digital advertising, media relations, social media, traditional media, and website design (to name a few). 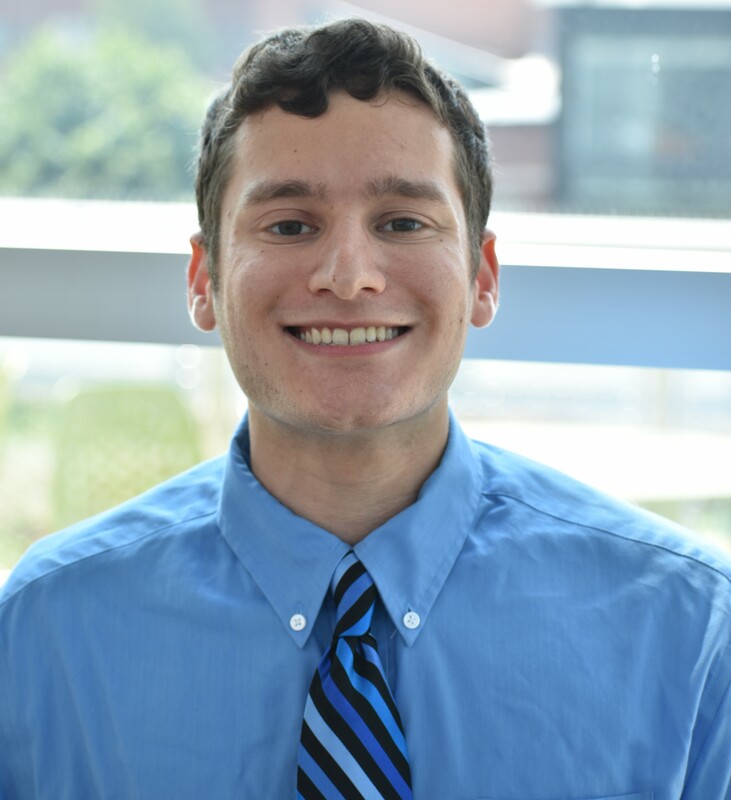 What I did not know before I started my Junior Account Manager position was the importance of tying campaigns to business goals, breaking down department silos, and utilizing collected data to be relevant and timely. Enter the Data Marketing Communications, fully-online, graduate program. 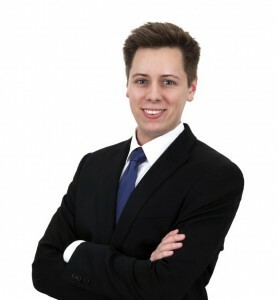 This program allowed me to bridge my interest in the business-side of marketing and my growing expertise in the field. As a WVU student and alumni, I have an amazing resource at my disposal- MountaineerTrak powered by the Career Services Center. MountaineerTrak was my first line of defense. During my years as an undergrad, the Reed College of Media hired a Director of Student Careers and Opportunities, Eric Minor. Eric’s weekly “opportunity” email quickly became my go-to resource. Eric is the perfect liaison between current students looking for experience and alumni looking to provide that experience as a way to give back to their alma mater. The biggest challenge I have faced in my young career has been introducing new procedures, and strategies from the ground up. In my current role, I assumed that after six months and I’ll be like a well-oiled machine and have already implemented new strategies. I soon realized that implementation would take closer to one year. The next year will be spent analyzing, and the following year will be about growth and optimization. It is hard not to get ahead of myself and want to be at year three, today! Really, the biggest challenge is not trying something new, it is pacing myself to check one step off the list at a time. Devoting 110% to each step without getting ahead of myself and potentially losing sight of details that could later derail all that the team has worked towards. Slow and steady wins the race. Differing experiences, bring perspective. In my Data Marketing Communications cohort, students had varying backgrounds in data, graphic design, marketing, sales, etc. Listening to each other’s viewpoints helped the entire cohort approach problems with an open mind. There are a lot of different ways to apply your marketing/PR knowledge. Don’t limit yourself to certain industries or titles. Today, there are more opportunities than ever to be creative with your knowledge. I think the biggest benefit of the New Pros section is the opportunity for engagement and networking. PRSA boasts amazing partners, and communities for growth and learning. I was particularly drawn to the #NPPRSA Twitter chats. Twitter chats have been a great outlet to informally discuss specific topics with others in the industry. I have found that those who participate want to engage and share. Even simply reading through threads has helped open my eyes to areas outside of my expertise. You will never stop learning. When you think you know enough, there is always more. It is important to be vigilant about the changes within your field. I have a Bengal Cat that is about 20 lbs, who acts more like a small dog than a cat. 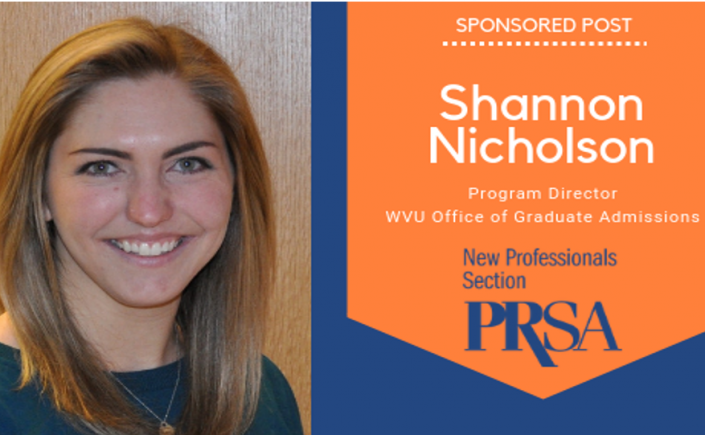 This New Professionals spotlight is sponsored by West Virginia University. If you are a member of PRSA New Pros and interested in being featured, or interested in nominating someone to be featured as a part of our #MemberSpotlight, please complete the following form. In the first five years of your career, there is a lot of information and experiences thrown at you. You’re trying to figure out your first few jobs, learn about various industries and communications functions, and make a mark for yourself. 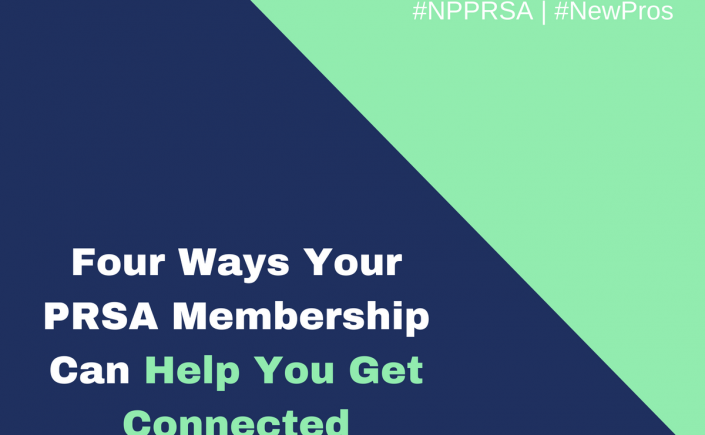 PRSA’s New Professionals section can help you get there through programming, networking and mentorship. Not all communication and public relations professionals face the same challenges. PRSA has 14 professional interest groups, known as Sections. Most Sections focus on a specific industry while a few of the Sections are geared toward career levels (such as New Pros!). Each Section focuses on common issues related to an area of practice or special interest and is dedicated to bringing its members important, relevant information regarding their area of interest. Beyond involvement in New Pros, it can be helpful to join the section relevant to your industry – such as nonprofit, financial, health, technology, travel, and more – for tailored professional development. A strong network is diverse and includes clients, peers, senior professionals, business leaders and vendors. 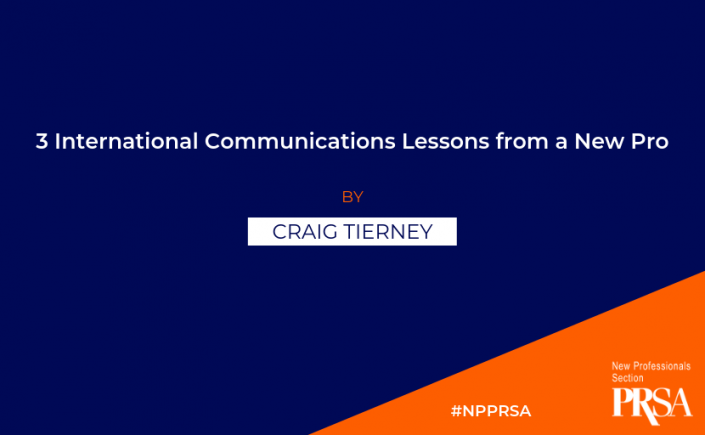 PRSA Chapters give members the opportunity to strengthen their networks, grow as professionals and provide better solutions to the organizations they serve. Many Chapters provide New Pros programming at the local level, live. California Capital, Chicago, and more have active New Pros committees. Do you have something to say about a topic in which you’re well versed? 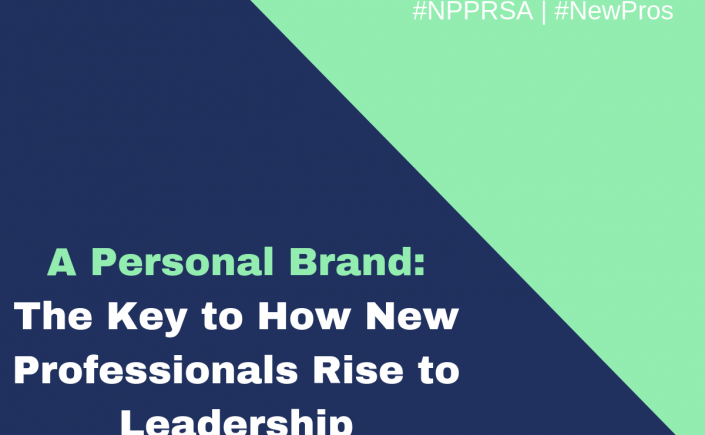 If so, you could become an influential thought leader on PRSA’s members-only online community, MyPRSA. A great way to meet other PR and communications professionals is by answering questions, writing thought-provoking posts and blogs, and sharing experiences. There’s a New Pros-specific community to engage with professionals in a similar point in their career as you. 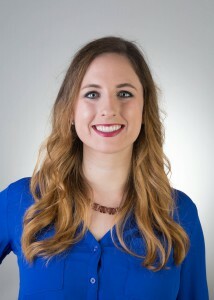 You can also write for PRSA New Pros’ blog The Edge. Plus, PRSA offers lifelong learning to help you improve your job skills, stay competitive and advance your career. There are on-demand trainings, MBA prep and APR support sessions. This content originally appeared in PRSA’s membership email and was repurposed for use on PRSA New Pros The Edge by Hanna Porterfield, 2018 Chair of PRSA’s New Professionals Section. Based in Chicago, but frequently on an airplane, she is an account manager at NYC-headquartered Development Counsellors International. Hanna is a graduate of Michigan State University. Connect with her on Twitter @citygirlhanna.